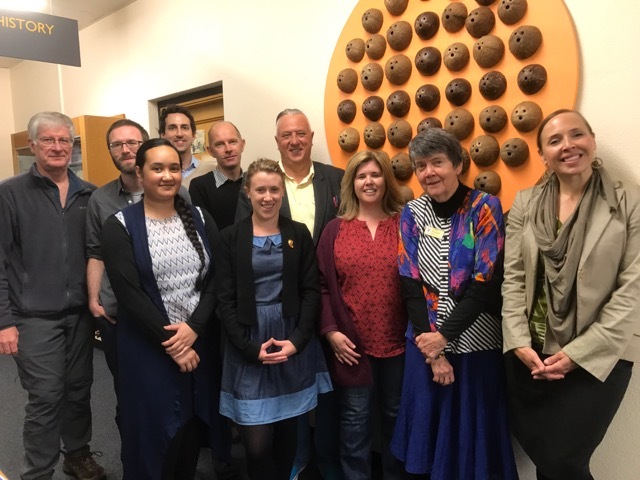 Scholars in Pacific history and culture met to share their knowledge on the use and economies of the coconut in a symposium on Monday and Tuesday this week in Dunedin, the first event in what looks like a busy year for the Centre. 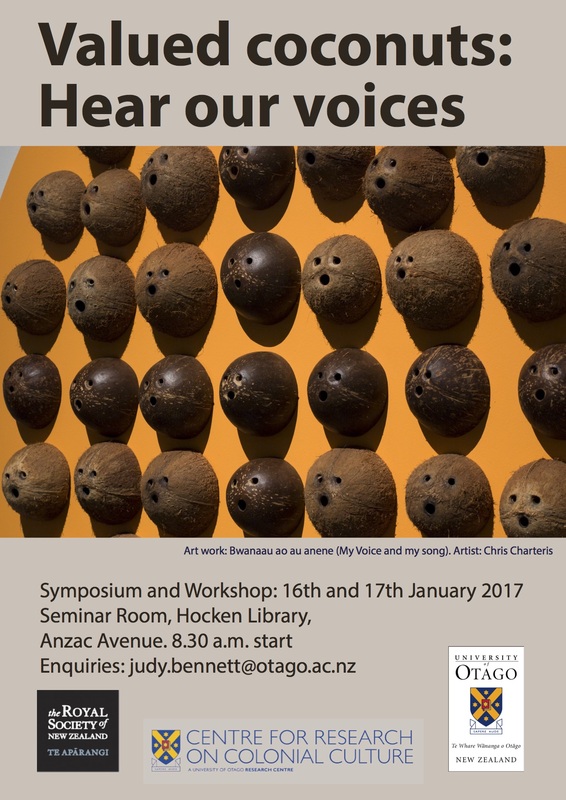 Professor Judy Bennett organised and hosted the Valued Coconuts: Hear Our Voices symposium and workshop as part of her Marsden project, Constant Coconuts: A History of a Versatile Commodity in the Pacific, and with support from CROCC. From left: Steve Talley, Josh Levy, Toaga Alefosio, Holger Droessler, Adrian Muckle, Kate Stevens, Lachy Paterson, Angela Wanhalla, Judy Bennett and April Henderson. Valued Coconuts was a pre-read workshop featuring six papers. April Henderson and Toaga Alefosio’s (Victoria University of Wellington), On Skin and Bone: Samoan Coconut Oil in Indigenous Practice discussed how coconut oil is used in the continuing Samoan practices of fofō (healing massage), samaga (tattooing) and liutofaga (cleaning of ancestors’ bones) and the meaning for people today. This paper comes of out of summer scholarship for Toanga (who will be an Honours student this year) and April’s current research on virgin coconut oil use, “Kernals of Hope: Following Coconut Commodities from the Pacific to the West” supported by a Royal Society of New Zealand Marsden grant. In the second paper, Wasting coconuts? Consumption versus commerce in Wallis and Futuna, Kate Stevens discussed how French colonisers’ desire for scientific production of copra clashed with the Indigenous people’s views on the value of coconuts. Kate is a postdoc in Otago’s Department of History and Art History, working with Judy on their Marsden project. 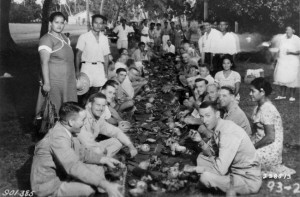 Josh Levy is a PhD student at University of Illinois, Urbana-Champaign, who is researching the successive colonial regimes on Pohnpei through food history. His paper, Ideal coconut country: Persuasive coconuts and the scientific plantation in Pohnpei, Micronesia, looked at the German colonial period and the effects of copra production on the Pohnpeian population. Steve Talley, an Otago PhD student’s paper set to Defining indigenous entrepreneurship in the New Hebrides copra trade, and how the opportunities and constraints of the French and British rule moderated the Indigenous peoples’ engagement in the coconut trade. Holger Droessler‘s Coconuts in Samoa explored how the cultivation of coconuts and production of copra mediated the German colonisers’ attitudes to Samoans, and how Samoans were able to maintain a subsistence economy despite the German desire for greater productivity. Holger is a Visiting Assistant Professor of History at Bard College in New York state. In the last paper, Judy Bennett’s Voices of Rotuma: Enduring Refrain examined the copra trade of Rotuma both in the colonial and post-colonial eras and tensions brought about through the necessity of having to ship its copra through Fiji. Centre members, Angela Wanhalla and Lachy Paterson, acted as commentators for these papers alongside Adrian Muckle from Victoria University of Wellington. The format of the symposium allowed for extensive discussion of the papers; the plan at this stage is for all the papers to be incorporated into a special journal issue. Thanks to the Hocken Collections for providing the venue for the event, and for the tour of some of their Pacific material. Thanks also to the Otago Museum for a tour of some of its coconut-related holdings. Congratulations to CROCC member, Professor Judy Bennett, who was awarded $710,000 in the recent Marsden Fund round. 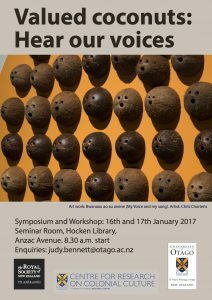 Her research will explore ‘Constant coconuts: a history of a versatile commodity in the Pacific world’. 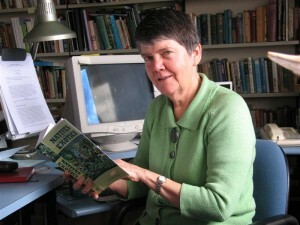 Judy was also the lead investigator in the the Marsden Fund project ‘Mothers’ Darlings: children of indigenous women and World War Two American servicemen in New Zealand and South Pacific societies’ awarded in 2009. ‘Constant coconuts: a history of a versatile commodity in the Pacific world’. Within the humid tropics, along the shorelines of atolls and high islands, the coconut palm flourishes, providing food, medicines, cosmetics, and household items for myriad Pacific societies. Yet no commodity history of the coconut exists. As a pathway to understanding globalisation, this research will analyse how from c.1840 onwards, products from the “nut” became commodities, how their production and consumption affected individual communities, power relations, mobility, culture, economies, and environment within the Pacific world and beyond. It will consider why, for most Island societies, the coconut became often the sole export staple, and the consequences of such dependency. A key focus is the fluctuating relationship between production and natural conditions, such as rainfall, as well as external challenges, such as declining markets, which tested indigenous agency. Recently, the coconut’s value as a source of biofuel and health and beauty products has significantly revived production. While the distant past is mainly recorded in archives, this network of producers, marketers, governments, and consumers is accessible to ethnographic methods, such as extended observation. The planned book will combine two perspectives: a) commodity chain analysis to trace economic and social linkages; b) ethnographic investigation. Archival and other documentary research will provide evidence for both. The video documentary, Born of Conflict: Children of the Pacific War is a major outcome of a Marsden-funded project, the Mothers’ Darlings Project, led by Judy Bennett and Angela Wanhalla (History) that investigates the lives of children born of US servicemen and indigenous women of New Zealand and the Pacific during World War Two. The documentary, a shorter version of which played on Maori TV this year as part of their ANZAC Day programming, looks at three case studies from the research. It also features Judy and Angela, both members of the Centre for Research on Colonial Culture, along with Louise Mataia (graduate of Otago and researcher on the Mothers’ Darlings Project). US servicemen and locals, Aitutaki, Cook Islands. The video was produced by Steven Talley, Peggy Holter and Judy Bennett, with funding support from University of Otago. Click here for free viewing. Click here for more information on the work of the Mothers’ Darlings Project.